Donations cheerfully accepted! All proceeds go to feed the nature center snakes, turtles, salamander and other critters showcased in our educational programs. 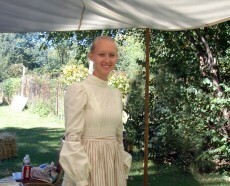 Join us for an evening of magic as you are transported back to the 1800’s. At the event entrance you can buy a commemorative candle to help guide you along luminary lit paths. As you stroll the grounds you can listen to carolers and learn about winter on the prairie at two historic log cabins, a wigwam and a covered wagon. 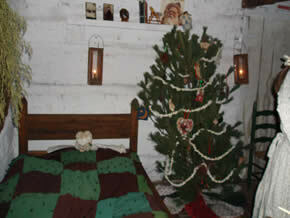 Children of all ages can visit a Civil War Santa in his field tent and enjoy live music in the one room schoolhouse. A blacksmith will be making gifts at his forge. Don’t forget to stop and enjoy popcorn cooked over an open fire. 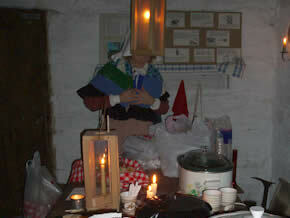 You can enjoy hot chocolate and cookies in the warming tent. Stop by the Gustafson Nature Center where you can shop for holiday gifts and children can make a holiday ornament.